Shaw’s answer to Telus Optik TV is now available to Shaw Customers in Edmonton Alberta. 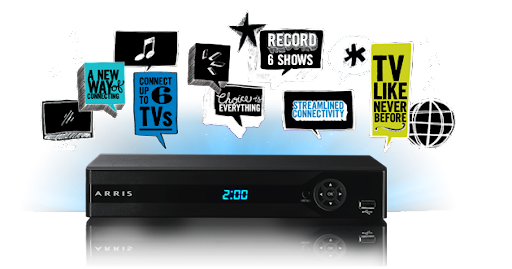 The Shaw Gateway is a six tuner HDTV PVR with 500 GB of built in storage which offers advanced features such as PVR anywhere allowing you to pause live or recorded TV in one room and watch it in another. Additional features such as internet browsing, online and handheld device remote control and many more bells and whistles are available now or will be available in the future. While customer demand for the Shaw Gateway is high, customer reaction to the product once installed has been mixed and the roll out has been plagued with the usual share of challenges to be expected with any new product launch. We at techtipsandtoys have high hopes for the Shaw Gateway and plan to have a hands on review later this summer. This entry was posted in News, Product Reviews and tagged Arris, Arris Gateway, bell, canada, doyle serink, DVR, hdtv, Moxi, Moxxi, Optik, PVR, Satellite, shaw cable, shaw cable edmonton, Shaw Gateway, Shaw Gateway Cablebox, shaw gateway edmonton, shaw gateway now available in edmonton, Shaw Gateway Review, telus, Telus Optik TV Review. Bookmark the permalink. Does anyone know when the Victora launch is?